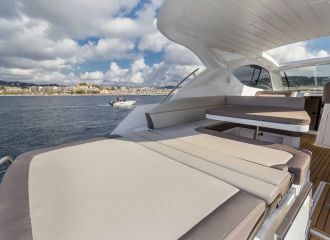 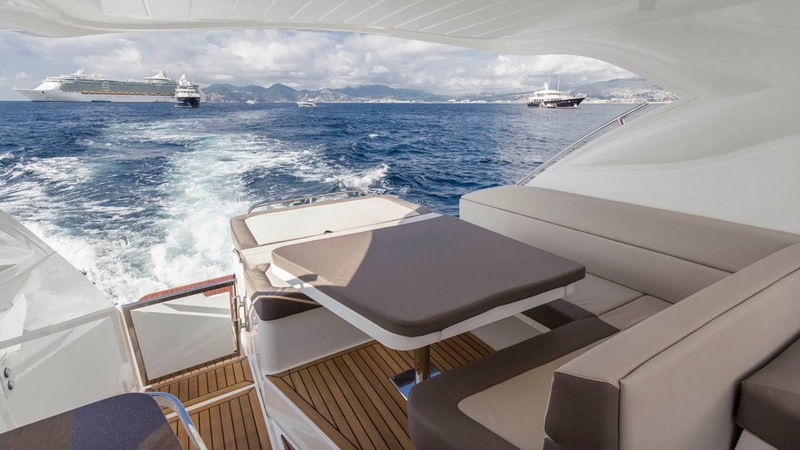 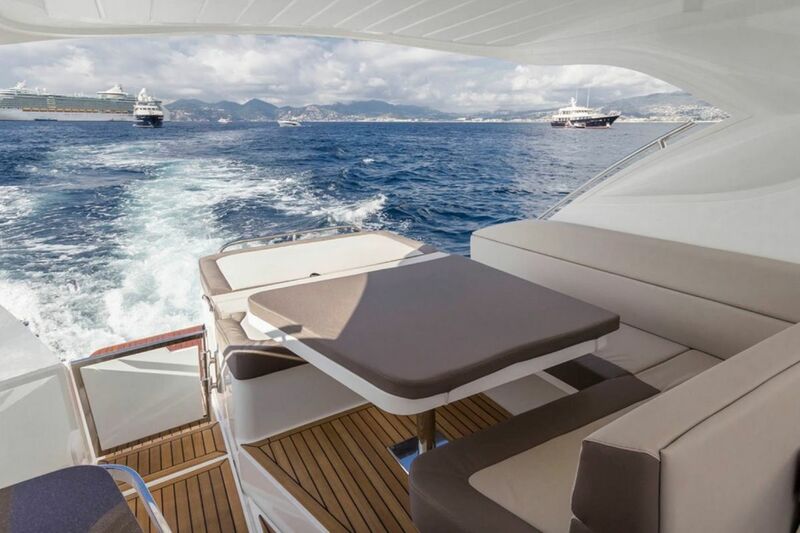 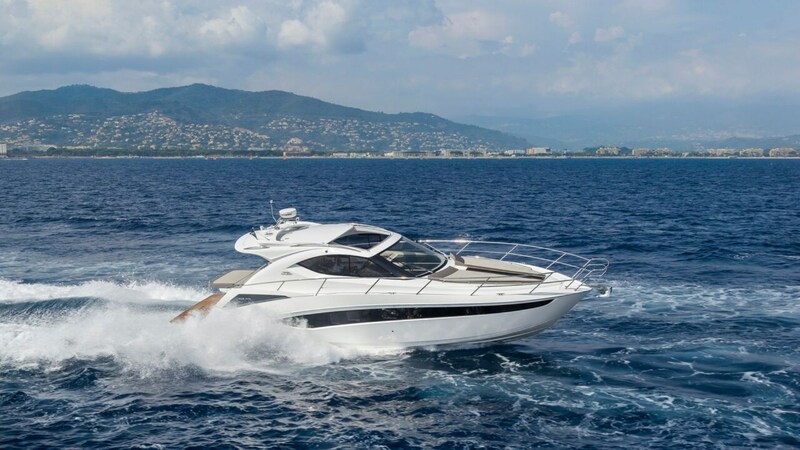 This Galeon 405 HTL available for a day boat rental from Saint-Tropez (French Riviera), has an ingeniously fitted and very spacious cockpit. 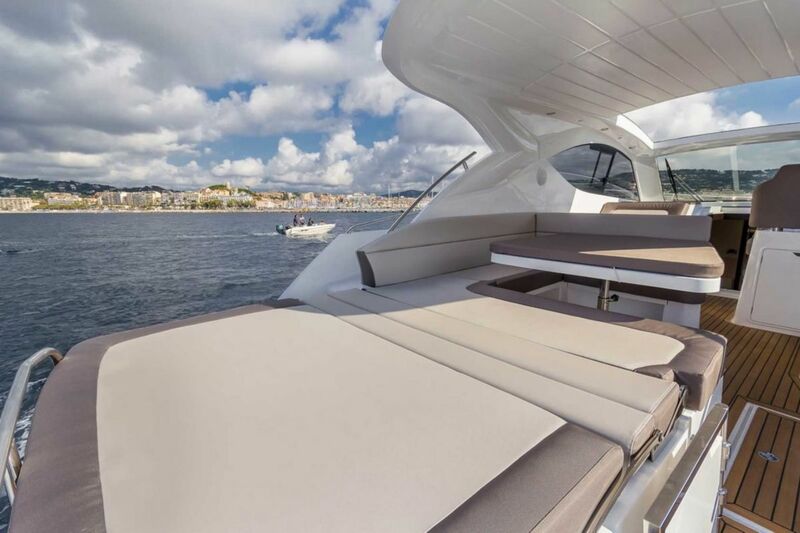 You can relax on the sunbathing area at the front of the boat but also at the back. 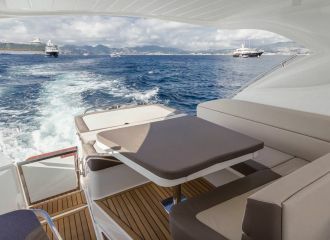 The interior is very bright and offers 2 guest cabins. 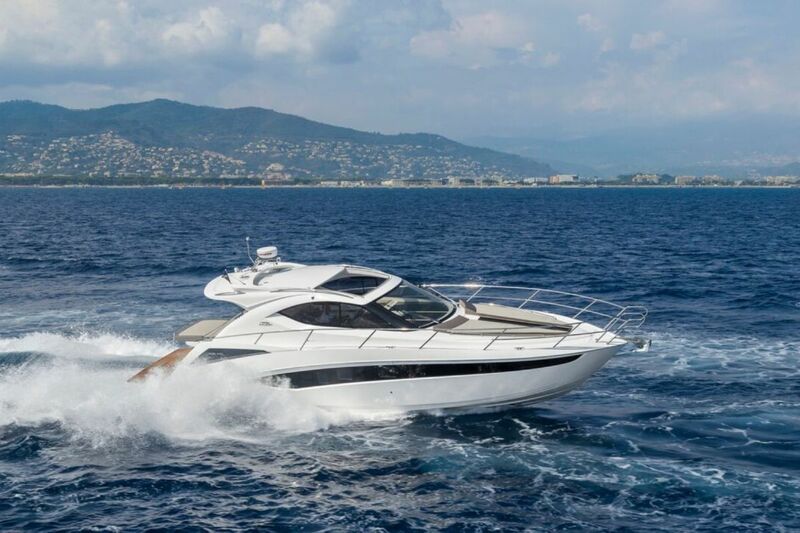 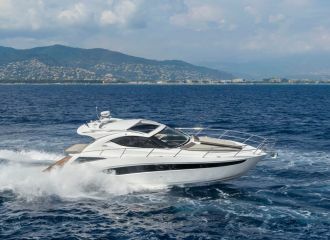 This Galeon 405 HTL is the ideal boat for a day charter in the south of France. 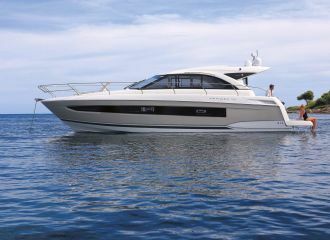 total 2300	€ Excluding APA ?